Bay Area Community Services (BACS) is committed to ending homelessness — permanently. BACS knows that nobody wants to be homeless. We are a Housing First agency, which means we radically believe that finding housing is the first priority to improving quality of life. Once people have their basic necessities (food & shelter) taken care of, then we can address behavioral & physical health issues, substance use, employment, and more. Every individual BACS serves will receive whatever they need to become stable and have reliable housing. We use direct outreach to find people where they are at, whether it is on the street, in encampments, or more. Then, we do whatever it takes to find them permanent, sustainable housing. We offer interim housing, benefits assistance, job support, food support, housing application fees, and more. 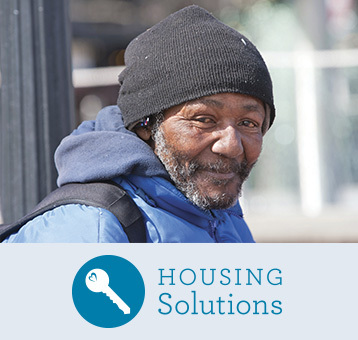 BACS is the Bay Area leader in innovative & ambitious solutions to ending homelessness. We have the largest & most effective rapid-rehousing program in the Bay Area, and we are buying single-family homes across the Bay Area to provide permanent housing. We are doing whatever it takes to address this crisis.